Drawback in Islamist radicalization: Lebanon, Iran, Pakistan. And the Palestinians? Until several weeks ago this author had a very pessimistic evaluation of strategic developments in the Middle East and Central Asia. Hezbollah was on its way to take control of Lebanon through legislative elections; in Iran president Ahmadinejad was on the point to win a second term in power; in Pakistan, the local Taliban was moving towards the capital Islamabad after a disgraceful deal with the Zardari government. But things changed abruptly: the Hezbollah lost the elections in Lebanon; Iran is witnessing a pre-revolutionary situation and the Pakistani army is fighting the Pakistani Taliban. Paradoxically, these sweeping changes are, partly at least, the result of semi-democratic elections in the three countries. In Lebanon the Christian voters, who under an archaic sectarian electoral system are the balance between the Shia and Sunni voters, finally understood the danger of Hezbollah taking control of the country and leading it to a Iranian style theocratic regime: they refused to vote for Gen. Michel Aoun's pro-Hezbollah candidates. In Iran, where the Council of Guardians decides who can run for the presidential and legislative elections, the reformist leaders with the support of much of the Iranian people, firmly contest the results of the election, the supreme spiritual leader Ayatollah Khamenei and the "elected" president Ahmedinajad. The next weeks will tell if the Iranian people and the reformist elite will be able to change from within the sclerotic religious regime. In Pakistan, the assassination of former Prime Minister Benazir Bhutto in December 2007 led to the ouster of the authoritarian Gen. Pervez Musharraf and the formation of an elected but weak government. 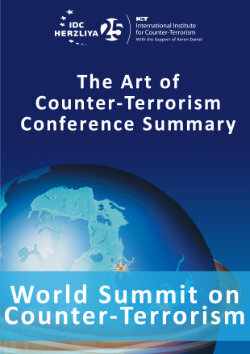 The Pakistani originated November 2008 terrorist attacks in Mumbai, India and the advance of the Tehrik-e-Taliban Pakistan (TTP) troops towards the capital Islamabad in spring 2009 finally brought about a decisive move by the Pakistani Army against the Islamist strongholds in FATA and SWAT, and possibly Waziristan. But make no mistake: Hezbollah is still the biggest organized political movement in Lebanon, with a militia armed to the teeth by Iran and Syria and a potential threat to the pro-Western March 14 forces and to Israel's northern border; for Mir Hossein Musavi and his reformist camp the nuclear project is also a national priority; among his staunches supporters is Ali Akbar Mohtashami Pur, who supervised Hezbollah's creation during the bloodiest attacks against US and Western targets in Lebanon and the Gulf during the 1980s, secretary-general of 'The international conference in support of Al-Quds and Palestine" and a Holocaust denier on his own. Nevertheless, these last events are the first major drawback in what seemed until lately a winning march of the Islamist radical states and movements in the region. It is surprising this has not happened yet in Gaza, where the Palestinian population voted in 2006 Hamas hoping for a better life and security, but received instead bloody fratricide fighting against the Fatah militants, Israeli closure, collapse of the economy and finally the devastating Cast Lead operation by the Israeli Army. The Palestinians should have already learned since 1993 that the support of Iran, Syria and Hezbollah to Hamas terrorism and violence is not the solution for their hardships and a successful peace process. A change in the mood and behavior of the Palestinians, on the example of the Lebanese and Iranian peoples, could convince the disillusioned Israeli people to support more courageous moves by their government toward peace. 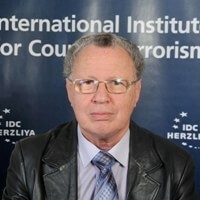 * Dr. Ely Karmon is Senior Research Scholar at the Institute for Counter-Terrorism (ICT) at The Interdisciplinary Center (IDC), Herzlyia.